Age-related hearing loss affects an estimated one in three people over the age of 65, and that number increases as you get older, jumping to two out of three seniors needing hearing aids by age 70. Since life expectancy continues to increase, the number of people with hearing loss is staggering. Research has shown that hearing loss contributes to other serious conditions including depression, isolation, cognitive dysfunction, and even dementia. Despite these statistics, less than half of older adults who need hearing aids actually purchase them. Cost is thought to be a major factor in discouraging individuals from purchasing hearing aids, since on average just one hearing aid costs about $2,500. Hearing aids are usually not covered by insurance. Other factors may include the way that hearing aids look (people are turned off by their appearance) and the inconvenience of attending appointments for hearing tests and evaluations. Some older adults might simply prefer to remain in denial since hearing loss is associated with getting older. Currently in the United States, the FDA does not allow devices to be sold directly to consumers as "hearing aids" so companies have gotten around this by marketing them as "personal sound amplification products" or PSAPs. Unlike hearing aids, PSAPs can be sold directly to the public without the assistance or advice of a hearing professional (audiologist), and they are significantly cheaper. Personal sound amplification products are sold for approximately $150-$300 per device. But do they work as well? According to a 2017 study published in the American Journal of Audiology, PSAPs were only slightly less effective than hearing aids that were distributed and adjusted by a professional audiologist, (when used for mild to moderate hearing loss). 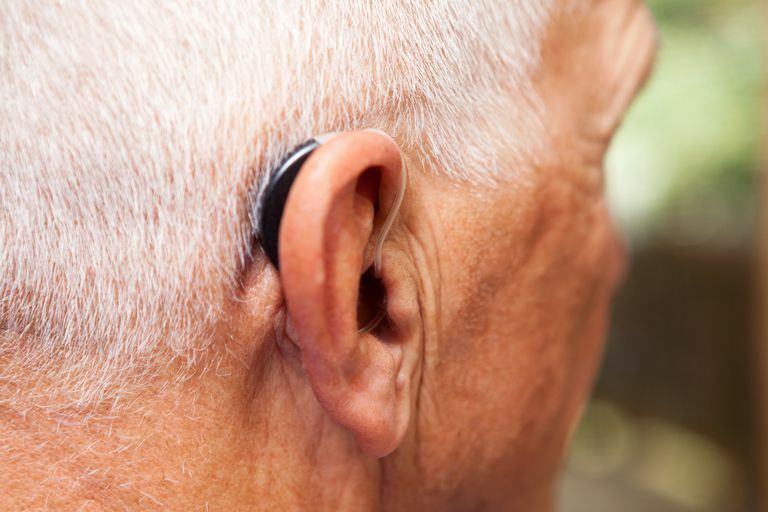 Given the significant decrease in cost it's fair to say that making hearing aids available over-the-counter may make them more accessible to older adults, potentially improving the hearing of millions of people. One interesting result of the study, however, is that participants were given the option to purchase their hearing aids at the end of the study, and the more expensive aids that were distributed by an audiologist were slightly more likely to be purchased than the lower-cost PSAPs. Partly as a result of how hearing aids are regulated in the United States and also because there's a bit of a monopoly on the market, much of the technology that is available has not been utilized to improve hearing aids, such as wireless technology and rechargeable batteries. At least one company that sells PSAPs, Doppler Labs, is trying to make hearing aids more stylish and practical. They make devices that connect with your smartphone and could easily be mistaken for devices used to stream music or take phone calls. Changing the way the FDA regulates over-the-counter hearing aids could help to create more competition in the industry and ultimately lead to improvements in hearing devices themselves. There's no question that stigma and appearance are a big factor in why many older adults forego hearing aids, but some people envision hearing devices that are more stylish or blend in more. If the cost came down on hearing aids, and they could be purchased at your local pharmacy, some people in the industry envision them becoming akin to a fashion accessory. You might even select which hearing aid you use that day based on how it matches your outfit. When Will OTC Hearing Aids Be Available? In an unusual show of bipartisanship, in 2017, several representatives led by Elizabeth Warren (D-Mass) and Charles Grassley (R-Iowa) introduced a bill in the Senate to change the way that the FDA regulates hearing aids. The same legislation was introduced in the House of Representatives by Joe Kennedy III (D-Mass) and Marsha Blackburn (R-Tenn). This act is called the Over-The-Counter Hearing Aids Act. Although both Democrats and Republicans seem to be on board with the legislation, some hearing aid companies and professional groups oppose the measure. People who oppose making hearing aids available over-the-counter argue that by not seeing an audiologist, these individuals miss out on valuable coaching that could help them to manage their hearing loss. Managing hearing loss isn't only about hearing aids after all, an audiologist can teach you how to read lips. People in favor of making hearing aids available over-the-counter argue that patients could still seek the advice of a professional, paying a fee for service, but that changing regulations will open up the market, foster competition, bring prices down, and lead to improvements in hearing aid technology. The coming months and years figure to bring more research and conversation on this topic, which will hopefully, eventually, lead to better hearing for millions of people. American Journal of Audiology. The Effects of Service Delivery Model and Purchase Price on Hearing-Aid Outcomes in Older Adults: A Randomized Double-Blind Placebo Controlled Clinical Trial.. http://aja.pubs.asha.org/article.aspx?articleid=2608398​. Updated January 2017. Is it Time for Hearing Aids to be Sold Over-the-Counter. Shots Health News from NPR. http://www.npr.org/sections/health-shots/2017/04/24/524946910/is-it-time-for-hearing-aids-to-be-sold-over-the-counter. Updated April 2017. Opening the market to over-the-counter hearing aids: Something Congress can agree on. The Hill. http://thehill.com/blogs/congress-blog/healthcare/333734-opening-the-market-to-over-the-counter-hearing-aids-something​. Updated May 2017. Used Hearing Aids: Can You Buy or Sell Them? Can You Donate Used Hearing Aids?